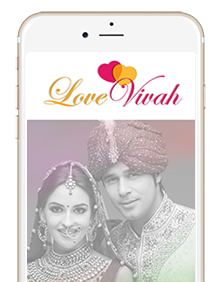 LoveVivah is a leading Indian matrimonial matchmaking service provider. We offer trusted & authentic matrimonial profiles for those who are looking for Indian brides and grooms for marriage. Our team is committed to provide 360 degree solutions to all prospective Indian brides and grooms for marriage. We are technology driven company providing the best platform to those who are genuinely looking for their soul mates through matrimonial site. Our platform serves to all Indian communities in India and abroad with prime focus on USA, Canada, UK, Australia and Singapore. We are the first choice of customers because of our customer centric approach and higher authenticity. In short span of time, we managed to create a niche place for our-self as compared to other matrimony sites.